Mr. Dhakal is life member and currently serving as Secretary of the Society. He has Master Degree in Geography. He is working as an Assistant Professor of Geography at Ratna Rajyalaxmi Campus, Tribhuvan University, Kathmandu. He has experience of working at different National and International Organization as a GIS expert including GIS Database Expert at DNPWC/MoFSC, at NARMA Consultancy, Kathmandu, Nepal, at Participatory Conservation Project -II of UNDP under the Department of National Parks and Wildlife Conservation, Ministry of Forest and Soil Conservation, as a GIS Officer at MEDEP/UNDP; as a GIS Assistant in UNDP funded Decentralized Local Governance Support Project/UNDP/MoLD. He has involved in various district profile preparation, resources mapping, income poverty mapping, human poverty mapping, ethnicity (caste system, indigenous people, vulnerable people, etc.) mapping, conflict mapping, social mobilization mapping, benefit mapping, human development indicators mapping, DAG mapping, etc. at local level. He has also involved in various GIS and GPS application trainings for transferring GIS technology and its application in local level as well as central level. 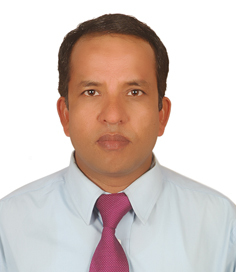 He also worked as a GIS Analyst/Research Officer in the Central Department of Geography, Tribhuvan University, Kathmandu, Nepal and Geographic Information System & Integrated Development Center (GISIDC), Balkhu, Kathmnadu, Nepal. While working for the CDG, TU and GISIDC he involved to develop various types of bio-physical and socio-economic database from the different sources of maps as well as from the field, produced maps for various purposes and conducted the field survey and report writing. The Nepal GIS Society (NEGISS) is a professional society founded in July 23, 1995 (Shrawan 07, 2052) and registered at Chief District Office Lalitpur by following regulation of the Government of Nepal. It has over 200 members including, institutional, life, general, and student and associated types.